The Minnesota State High School Dance Team Tournament was February 15-16th this year, and not too far from us at the Target Center in Minneapolis! We had the incredible honor of dressing some of the talented teams that competed this year, and boy did they look amazing! From Totino Grace’s Bohemian Rhapsody jazz look to Spring Lake Park’s Mardi Gras high kick rendition, we loved helping these routines come to life with outfits that enveloped their theme! Check out the some of the teams we were lucky enough to help create their very own #LineUpLook. 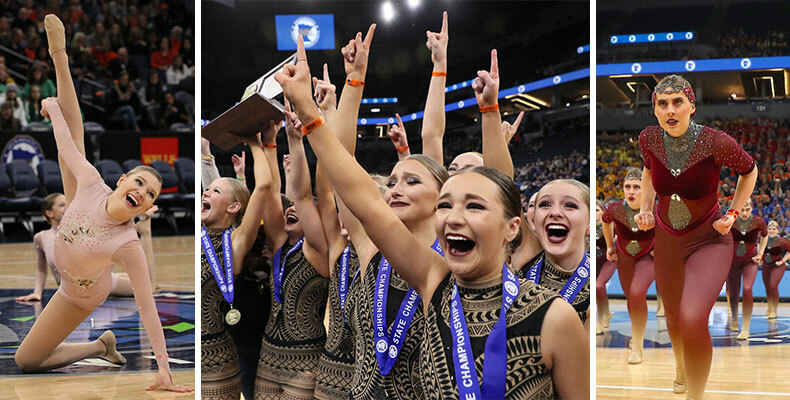 Another season is in the books for North Dakota dance teams, culminating in the 2019 NDADD State Dance Competition. The competition featured teams from around the state doing their best Pom, Jazz, Hip-Hop, and High Kick dances! For over 30 years, NDADD has showcased dance teams in North Dakota, regularly highlighting the creativity and artistry of this great sport! We were honored to outfit some of the teams at this year's competition; check them out below. Congrats on a great season, ladies! 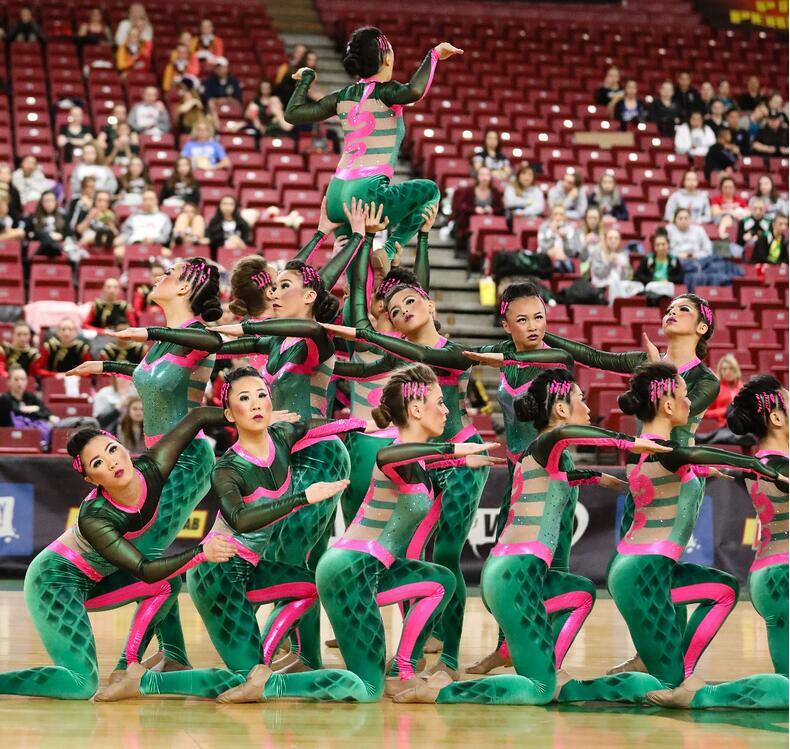 Team Spotlight: Hazen Drill Team's Smooth Routine Brings Them a State Championship! 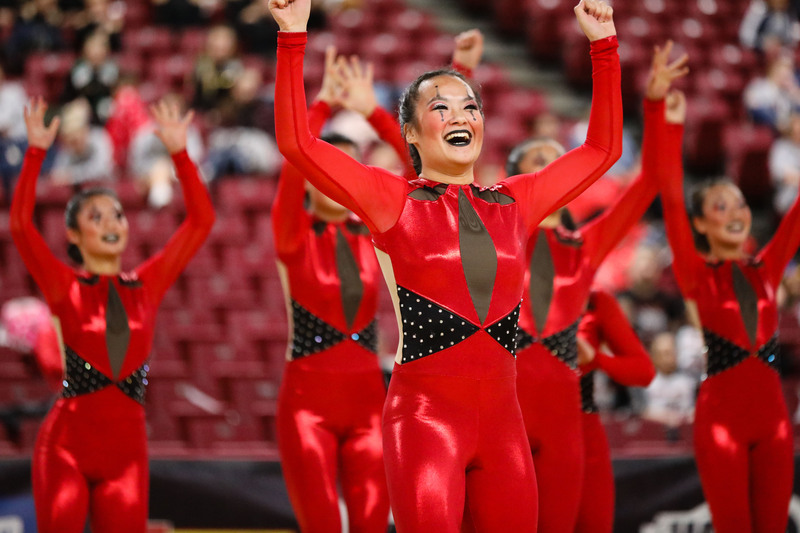 The 2018 Washington State Dance/Drill Championship was held on March 23-24 and we are LOVING all the photos from the event! So many creative dance costume designs came to life on the floor: from Skyline Dance Team's Bruno Mars inspired pom uniform, to Hazen Drill Team's sleek Snake costume for military, these teams know how to design gorgeous and innovative costumes! Check out a few of the Washington teams we were proud to have outfitted with their #LineUpLook, below! 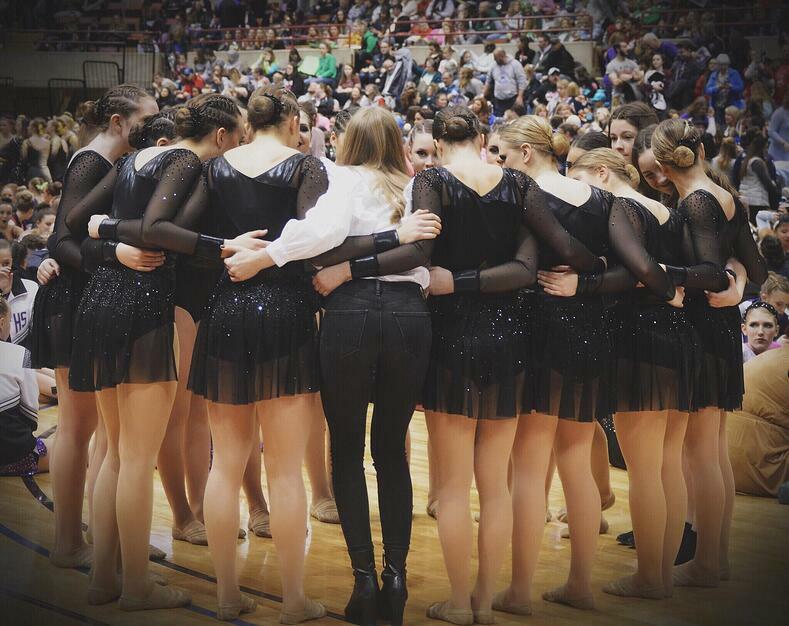 Team Spotlight: Franklin High School Dance Team Takes 1st in Both Pom & Jazz at Wisconsin State! The Minnesota State High School Dance Team Tournament was held last weekend, right in our own backyard at the Target Center in Minneapolis! We witnessed firsthand all the time and dedication local dance teams put into their sport - and plenty of gorgeous custom dance costumes, too! From South St Paul's bright and feminine leotard, to Simley's unique The Price is Right themed transition costume - MN teams brought it all to competition! Photo credit: Prescott High School Dance Team and RKD Photography. 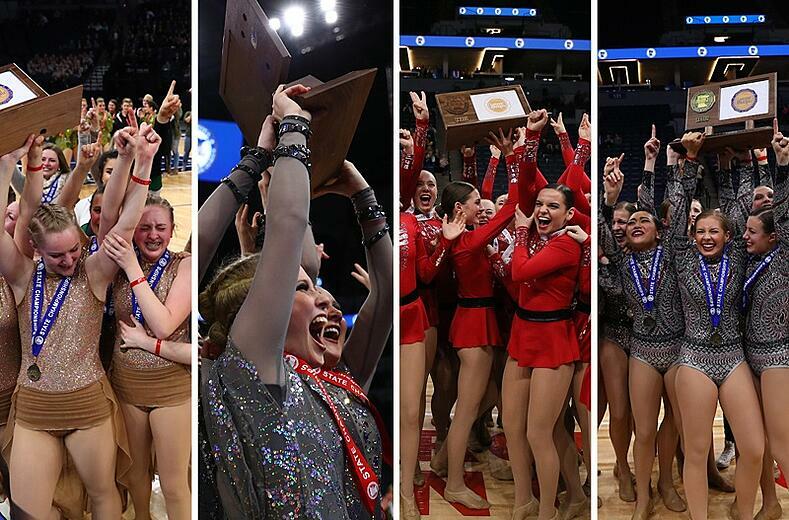 We're so proud of all the Wisconsin high school dance teams who finished their season competing at the 2018 WACPC State Dance Championship this month! We loved seeing all of these beautiful costume designs come to life on the floor - from Prescott's fiery Jazz costume, to West Bend West Dance Team's colorful look for Pom - these Wisconsin teams sure know how to design gorgeous and innovative custom dance costumes! 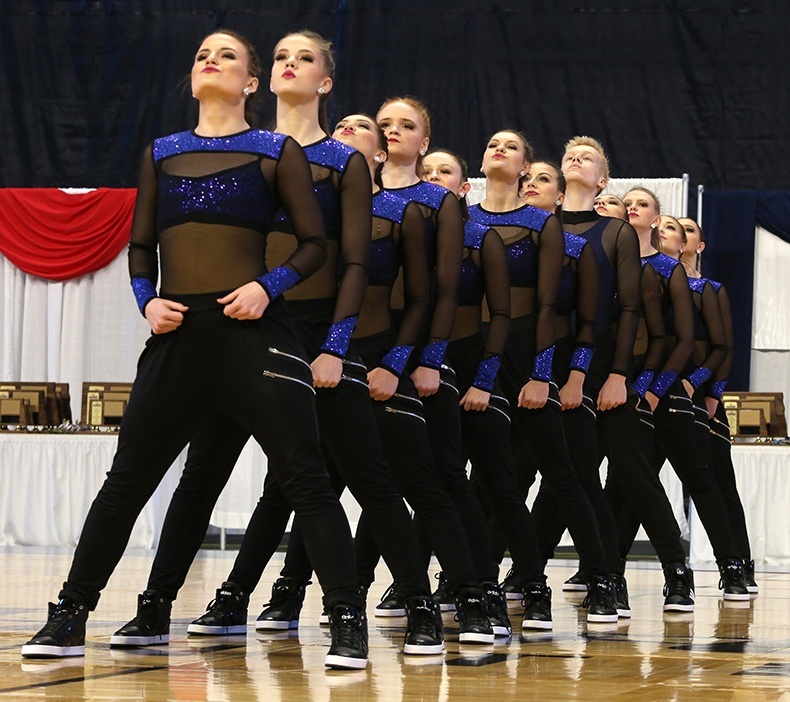 North Dakota high school dance teams brought their season to an exciting culmination at the 2018 NDADD State Dance Competition last month, competing in Pom, Jazz, Hip Hop, and High Kick! We love how certain dance communities have created their own costume trends, and North Dakota is no exception! If it's a unitard, or velvet, we know it's probably a North Dakota team! These ladies know how to rock these unique looks. Check out a few of the teams we were proud to have outfitted with their #LineUpLook at the state competition, below. Congrats on another amazing season, ladies!